2332 - 2362 S Ocean Blvd, Highland Beach, FL 33487. These 6 ultra luxury homes are located on the intracoastal, on the West side of Ocean Blvd in Highland Beach! Walk across the street to the beach! 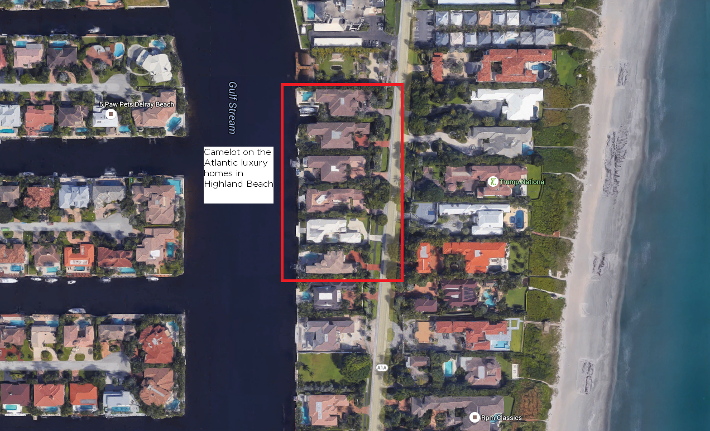 These direct Intracoastal Waterway Estates are located on the North end of Highland Beach on A1A, south of Linton Blvd. Contact us today to learn more about Camelot on the Atlantic Estates. We can help to answer questions, arrange viewings and more!